A string of recent injuries has seen Clarke unable to recapture his best form. The 26-year-old has the potential to develop into a dangerous ruck/forward and earned a one-year contract extension at the end of the 2016 season. Zac had an interrupted pre-season due to a knee injury and is expected to be eased back into the WAFL during the year. Juggling ruck duties with Jonathon Griffin the absence of Sandilands, Clarke showed some return to form, earning a one-year contact extension at the end of the season. Clarke spent time in the AFL side and with Peel Thunder in 2015, continuing to develop his role as a key ruckman and handy tall forward. Clarke performed very well as a backup to Aaron Sandilands in 2014 and is more than capable of leading the ruck himself if required. Clarke had a terrific season since returning to the side in round 8. 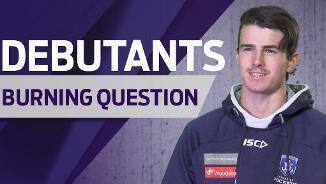 He has become a ruckman capable of leading the side, but his partnership with Aaron Sandilands was a major x-factor for Fremantle. After playing the first 10 rounds in 2012, Zac Clarke appeared sporadically for the rest of the season. He was mainly played as a forward but also backed up Aaron Sandilands and Jon Griffin in the ruck. Clarke was excellent in the round 4 win over St Kilda at Etihad Stadium, kicking a mercurial goal at an important stage of the thiRnd term. He also played in Freo’s second final but was quiet. Clarke has been inconsistent at best in his career to date, but he turns 23 next year and is approaching a stage of his career when many developing talls sprout into quality players. Clarke was a revelation in 2011, seizing his opportunity and showing Fremantle fans that the future of the club’s ruck division is in good hands when Aaron Sandilands hangs up the size 18s. The 21-year-old played his first game of the year in round 11 and didn’t miss a match for the rest of the season. He showed he was adept at finding the ball and using it well for a big man, averaging almost 14 disposals per game and finishing second overall at Freo for disposal effiency (80.8%). Clarke, who had 172 hitouts in his 13 appearances, was even used as a midfielder at the stoppages throughout the season. He exploded into prominence on the Friday night footy stage against St Kilda in round 20 when he took a mark of the year contender and gained a Rising Star nomination. 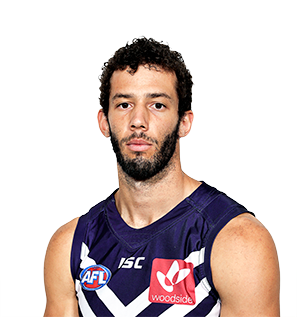 Clarke played his first 2010 game for Fremantle as a forward in the round 12 match against St Kilda, where he struggled to make an impact against the tight-marking Saints defence. He played mainly for East Perth in the WAFL this year, where he has been allowed to develop. After starting the season as a ruckman, Zac was given more time as a key forward by the Royals as the season progressed. 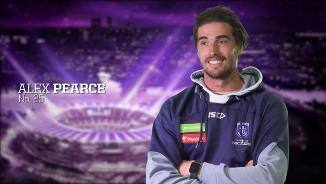 He has shown improvement as the season has progressed and will be expected to push for spot in Fremantle's side in 2011.